Need a stairlift like this curved installation for your home? Our qualified installation team can install a variety of stair lift track configurations to fit your home. 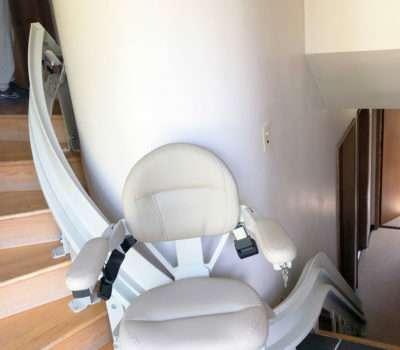 We provide free in-home assessments so you know how much the stairlift installation would be.